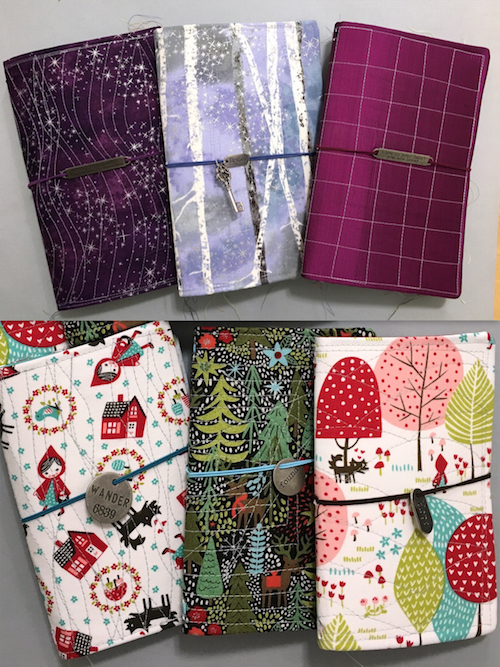 As part of my art show I also created fairy tale themed journals. Some covers are silk; some are magical trees; others are prints with a fairy tale theme. 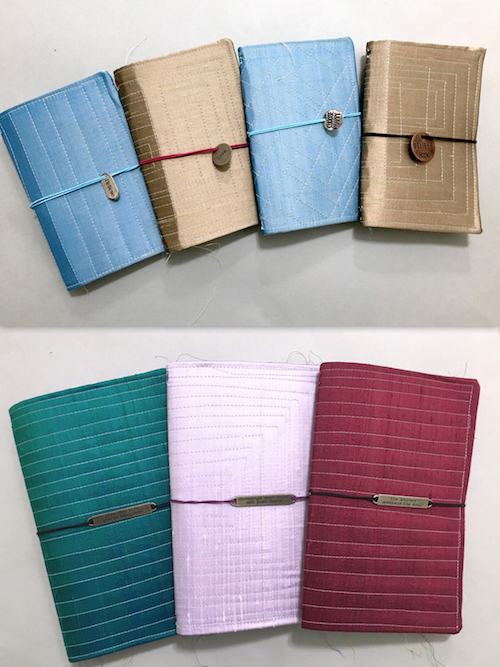 To keep up with demand from local galleries and customer request, I also made a few non-fairy tale themed journals. 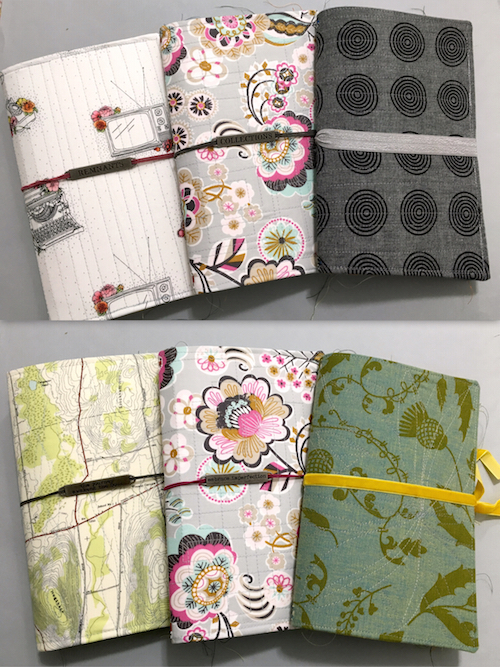 I enjoy making the cover for journals – the stitching is relaxing and I like the variety that can be achieved with different ties, charms and colors.